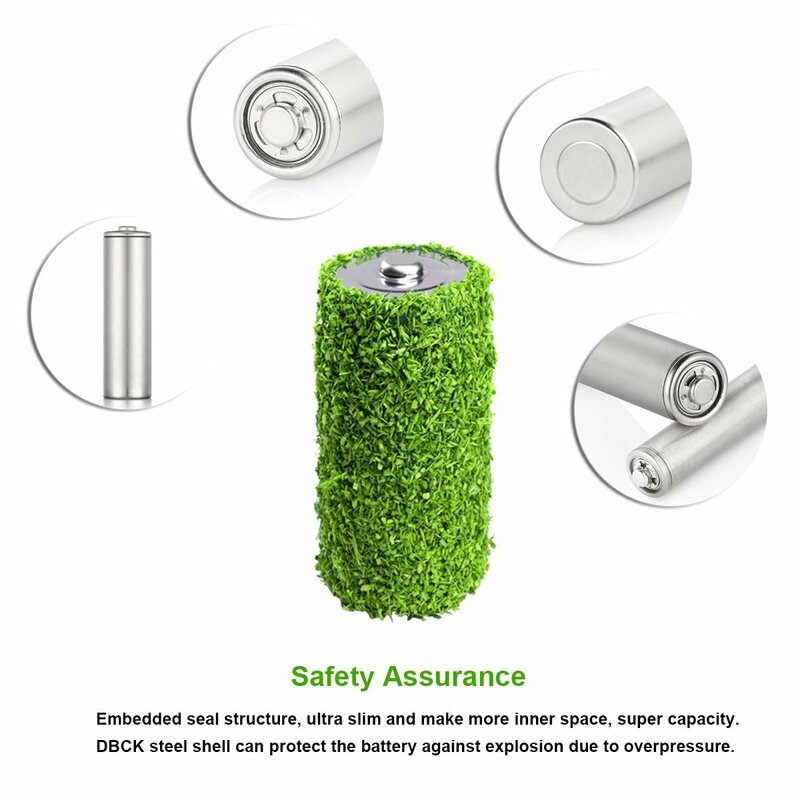 The high capacity AA rechargeable batteries will remain 85% battery capacity when they are not in use for 1 whole year. 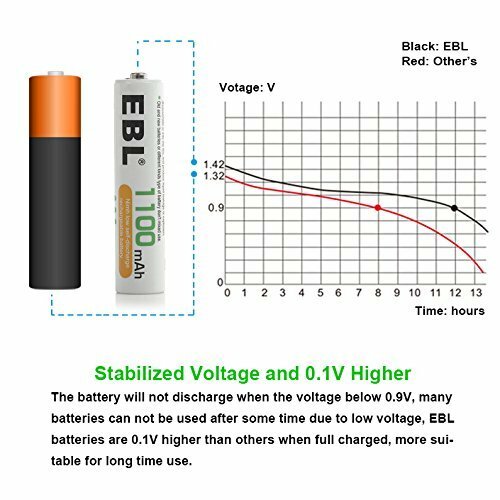 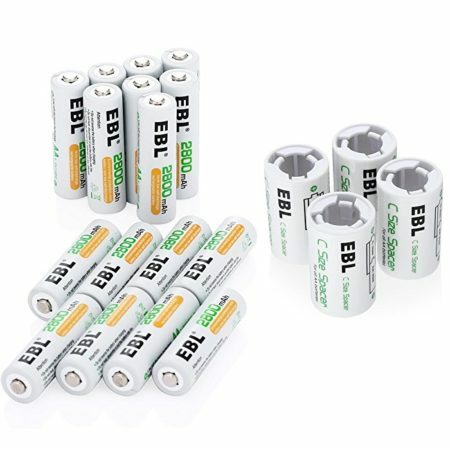 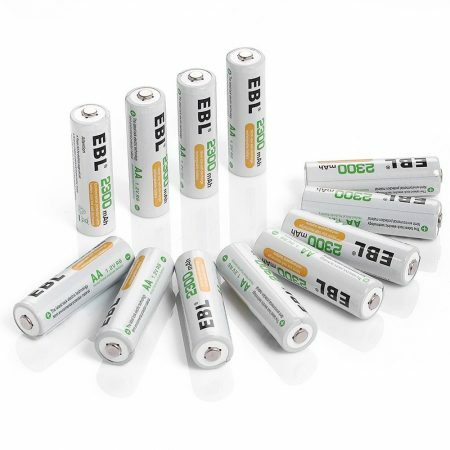 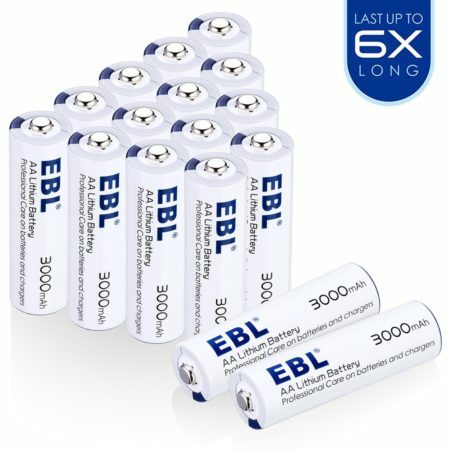 Compared with commonly-seen alkaline batteries, EBL AA rechargeable batteries has super long life span of up to 1200 charging cycles. 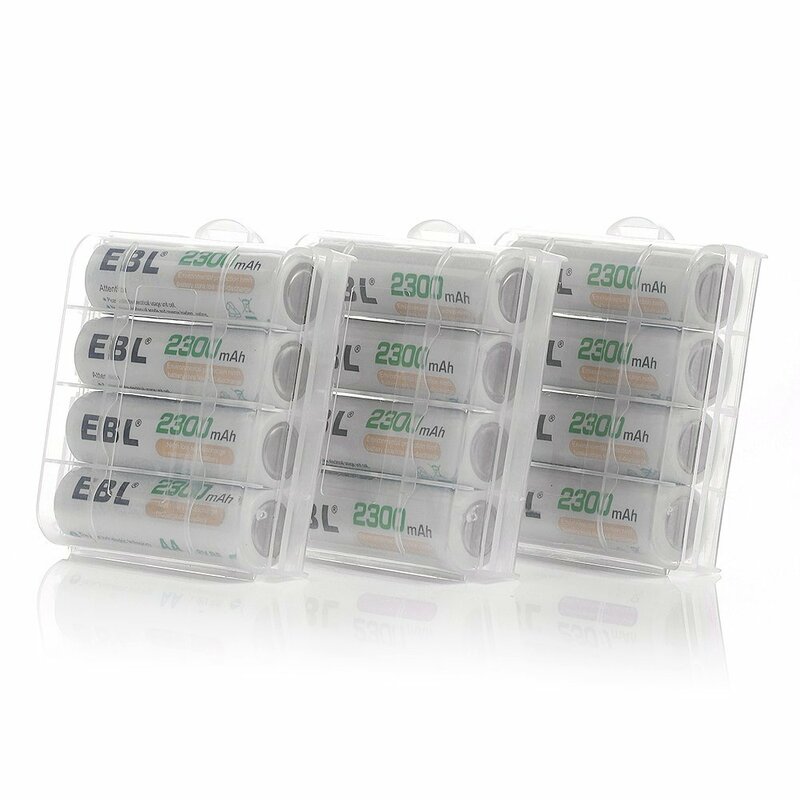 2300mAh Ni-MH high capacity offers your devices plenty of battery power. 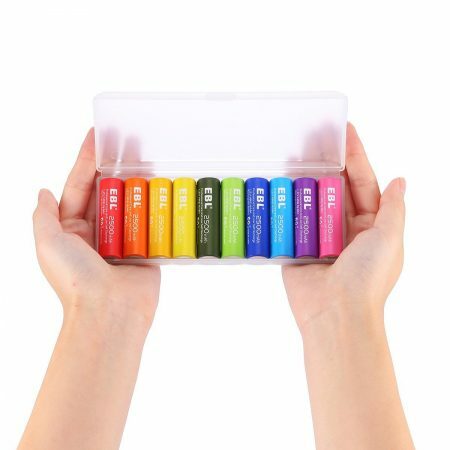 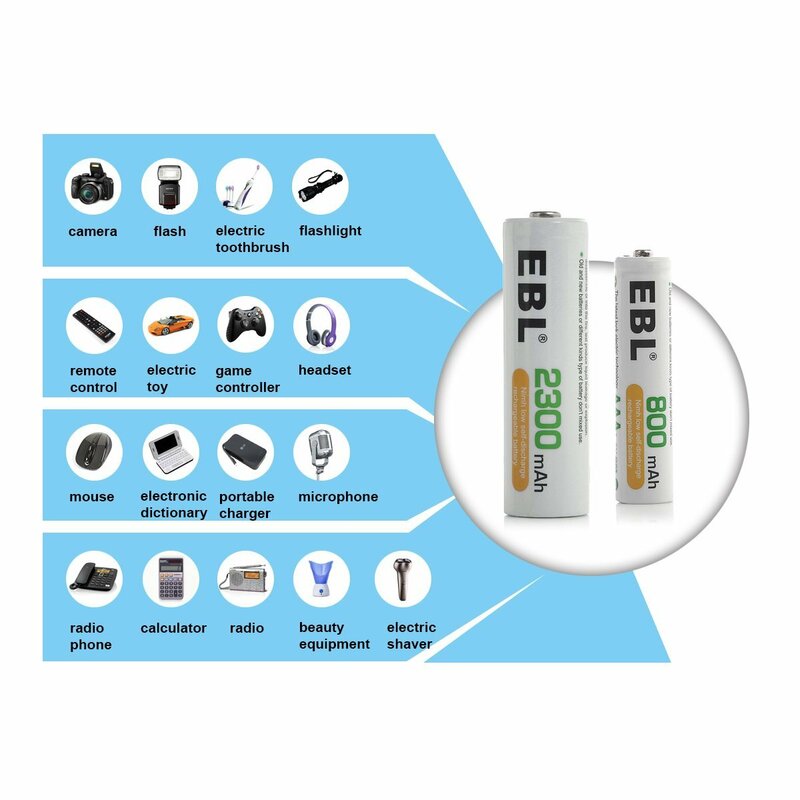 Compared with commonly-seen alkaline batteries, EBL 2300 mAh AA batteries has super long life span of up to 1200 charging cycles. The NiMH rechargeable AA batteries will remain 85% battery capacity when they are not in use for 1 whole year. 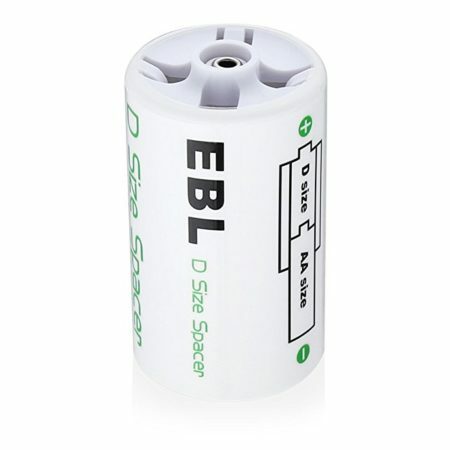 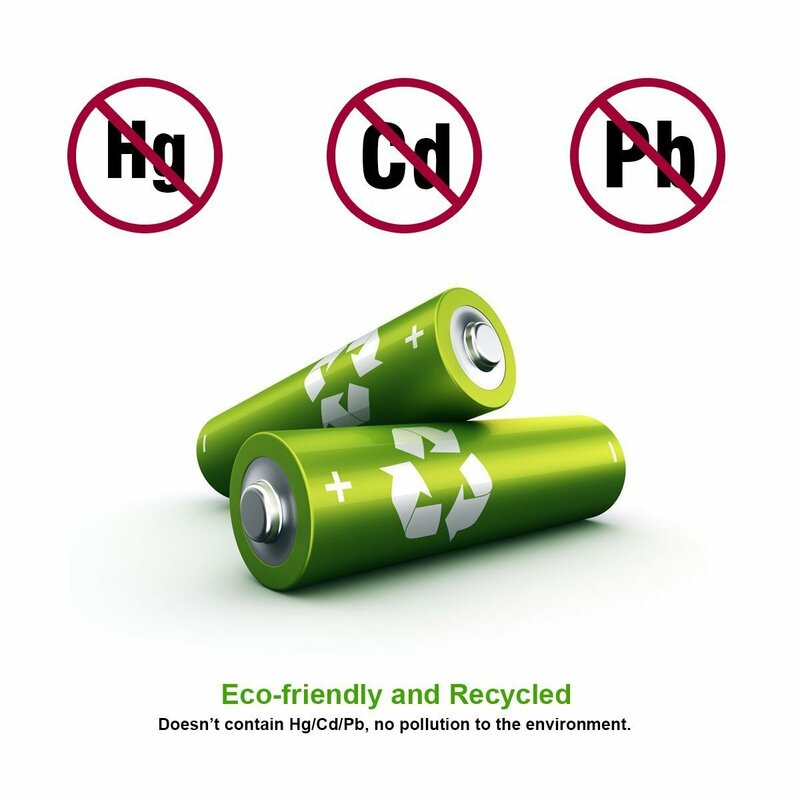 The rechargeable AA cell doesn’t contain Hg/Cd/Pb. 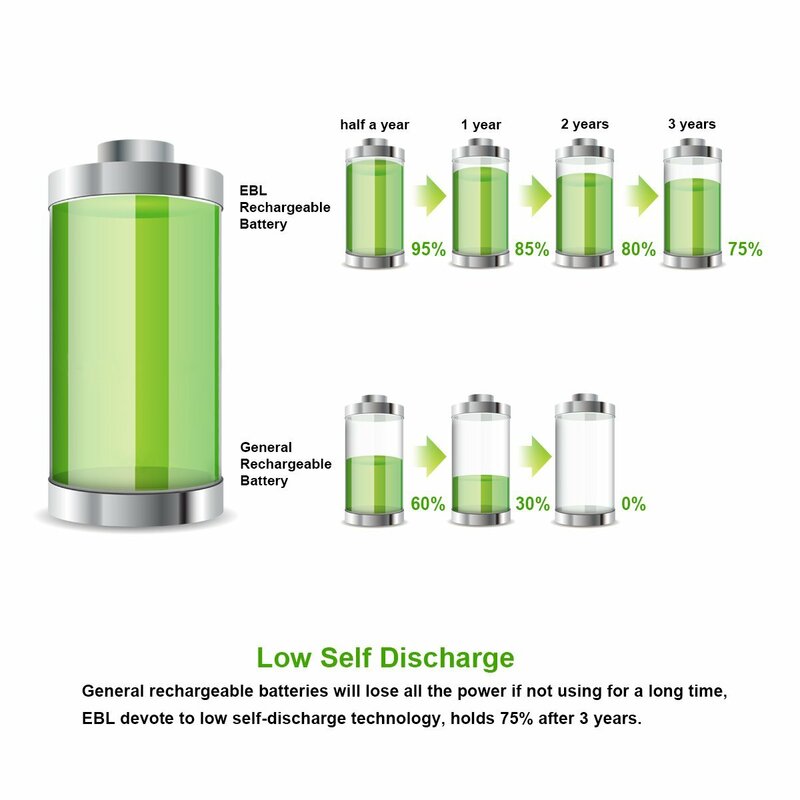 This new type of rechargeable battery is eco-friendly and economical.